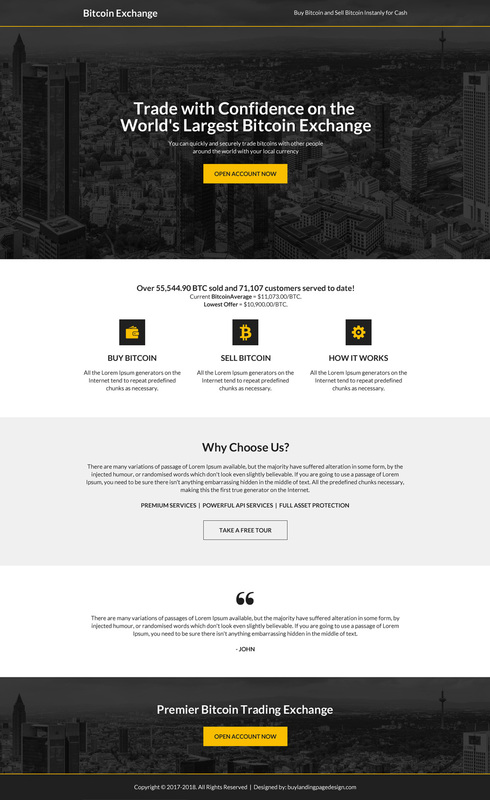 Download professional bitcoin trading and exchange landing pages at a very affordable price. Need a professional and lead capturing cryptocurrency landing page design to boost your conversions? We provide you with professional and appealing lead capturing bitcoin trading and exchange landing page design at a very reasonable and affordable price. Our landing pages are hand coded and can be edited in any HTML editor. Purchase and download any 5 lead capturing landing page designs for only $149. Select any 5 landing page designs of your choice.